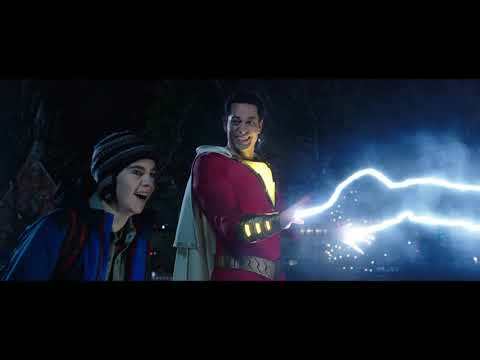 “Shazam!” also stars Jack Dylan Grazer (“IT”) as Billy’s best friend and ultimate superhero enthusiast, Freddy, part of the foster family that includes Mary, played by Grace Fulton (“Annabelle: Creation”); Darla, played by Faithe Herman (TV’s “This is Us”); Eugene, played by Ian Chen (TV’s “Fresh Off the Boat”); and Pedro, played by Jovan Armand (TV’s “Hawaii Five-O”). Cooper Andrews (TV’s “The Walking Dead”) and Marta Milans (TV’s “Killer Women”) play foster parents Victor and Rosa Vasquez, with Oscar nominee Djimon Hounsou (“Blood Diamond”) as the Wizard. Firmly set in the DC universe but with his own distinctly fun, family-centric tone, the screenplay is by Henry Gayden, story by Gayden and Darren Lemke. Shazam was created by Bill Parker and C.C. Beck. Christopher Godsick, Jeffrey Chernov, Dwayne Johnson, Dany Garcia and Hiram Garcia serve as executive producers. Sandberg’s creative team includes his “Annabelle: Creation” director of photography Maxime Alexandre, production designer Jennifer Spence, editor Michel Aller and costume designer Leah Butler. 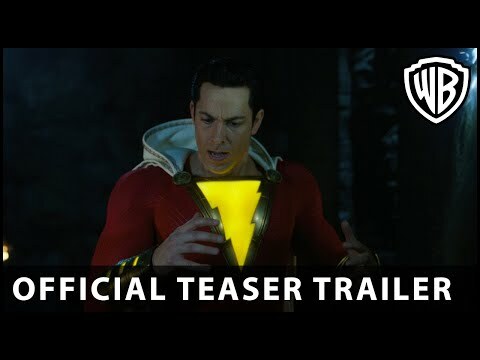 A New Line Cinema production, “Shazam!” is set for release on April 5, 2019. It will be distributed worldwide by Warner Bros. Pictures, a Warner Bros. Entertainment Company. TM & © 2016 Warner Bros. Entertainment Inc. All rights reserved.